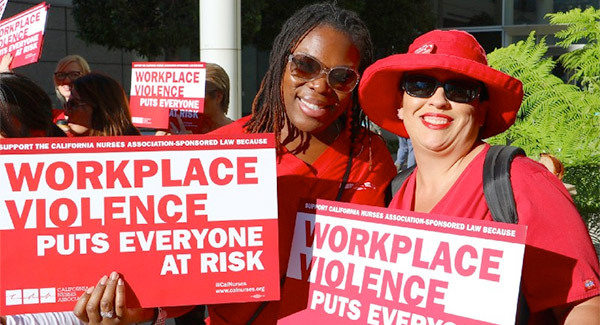 In this moment of national outrage, seeing a nurse assaulted on the job, we can use our collective voice to demand federal OSHA enact a workplace violence standard to protect all nurses, who face violence at work every single day. Last week, the nation was shocked to see video of University of Utah registered nurse Alex Wubbles being assaulted and arrested, in a July incident, for protecting her unconscious patient by refusing to allow police to take a blood sample from him while he was incapable of consent. Nurses make an oath to protect our patients, but as Wubbles’ experience calls into question: What happens when nurses cannot even guarantee our own safety at work? How can we keep our patients safe if we ourselves are not protected from violence entering the workplace and disrupting not only our own sense of safety and bodily integrity, but also ripping us away from our patients, whose health depends on access to our care? Nurses across the country stand with Alex Wubbels because we know that a nurse’s first job is always to protect and advocate for our patients. There is no excuse for what happened to this heroic RN, who did not waiver in her commitment to her patient, even when the result was being roughly handcuffed and detained. To right a wrong, we must use the power of our collective voice to say, “This can never happen again.” And in this moment, when nurses and the public are standing together, voicing outrage over seeing a video of our sister being assaulted at workâ€Š—â€Šit’s also important to remember that our big, collective voice can be used to protect not just Wubbles, but also nurses across the country, who face the potential of being assaulted at work every single day. Many people may be surprised to learn that nurses face rates of workplace violence higher than any other industry. In 2013, the U.S. Bureau of Labor Statistics (BLS) estimated that healthcare workers experience workplace violence at rates 5 to 12 times higher than for workers overall. And the rates are on the rise; between 2005 and 2014, rates of workplace violence incidents increased 110 percent in private industry hospitals. As the health and safety director of National Nurses United (NNU), the largest union of registered nurses in the country, as well as being an RN myself, I cannot count the number of heartbreaking, traumatic stories of violence that have touched the lives of nurses around me. One of our nurse members was punched in the eye by an agitated patient, fracturing bones in her face, and causing permanent vision and hearing impairment. 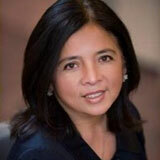 Another NNU member, Cynthia Palomata, was hit in the head with a lamp, by a patient, in 2010. She died from her injuries. RN Allysha Shin Petitions OSHA for Better Workplace Safety Standards from National Nurses United on Vimeo. Seeing the video of Wubbles, we know that no matter what repercussions there are for a perpetrator of workplace violence (including when that perpetrator is a police officer acting outside the law)â€Š—â€Šthose repercussions can never rewind time and prevent an assault from happening in the first place. To that end, while we address systemic problems within our society that contribute to increased violence, and while we discuss as a nation what it means when police officers act as perpetrators of violence, an immediate, on-the-ground concern for nurses is: What practical steps should our hospital employers take to protect us from harm, right now, todayâ€Š—â€Šperiod? Fortunately, we have an answer. Our employers must have a comprehensive workplace violence prevention plan in place. This plan must include an assessment of each facility and unit’s specific needs, measures to prevent violence from ever occurring in the first place (especially including safe staffing so that nurses are not left without adequate support), and training for all staff on exactly what to do in the event of a violent incident. And the Occupational Safety and Health Administration (OSHA) must enact a workplace violence standard to mandate that our hospital employers create such programsâ€Š—â€Što prevent violence from happening, and to respond effectively when it does occur. 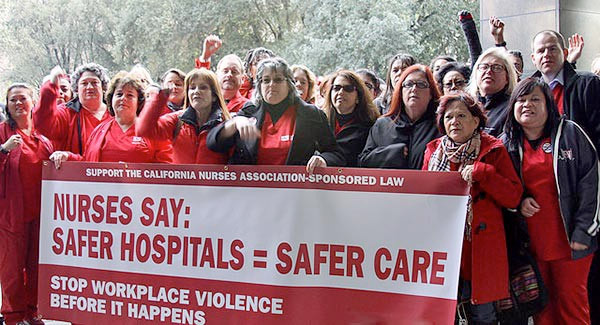 National Nurses United’s California arm, the California Nurses Association (CNA), has already won a nation-leading workplace violence prevention standard under California OSHA. And we have also successfully petitioned federal OSHA to enact a similar, comprehensive standard at the national level. A thorough assessment by OSHA of workplace violence risk factors, including staffing levelsâ€Š—â€Šand the implementation of prevention measures. A comprehensive workplace violence prevention program that is implemented at all times, in all units and work areas and on all facility grounds, including parking structures. Post-incident response (including first aid, trauma counseling, and injury investigation procedures). Employee participation in plan creation and review. A prohibition on retaliation against an employee for seeking law enforcement assistance during an incident. We must keep the pressure on federal OSHA to enact this standard, given that nurses’ lives are at stake. In the case of Wubbles’ assault, an armed police officer committing the violence understandably complicates matters. However, the training built into this nurse-driven, comprehensive workplace violence prevention standard includes education for all staffâ€Š—â€Šincluding nearby security guardsâ€Š—â€Šand also for coordinating agencies, including police departments. As a union, NNU also fights for comprehensive workplace violence protections built into our contracts. We cannot predict exactly when or where violence will occur, but employers canâ€Š—â€Šand mustâ€Š—â€Šimplement effective prevention measures and be prepared with how they will act to protect their employees. Employers need to listen to nurses, think proactively, and form a clear plan to keep nurses safe. We cannot go back in time and stop what happened to Alex Wubbels, or heal our dear sister Cynthia Palomata, whose death sparked the movement that led to California’s workplace violence protections. But we can move forward knowing that the power of our collective voice, especially in this moment of outrage, is a powerful tool to enact change and protect our nurses. Let’s stand together to make it happen. Click here to sign a petition demanding federal OSHA enact a comprehensive workplace violence prevention standard in healthcare settings. You can also join NNU’s Nurse Health and Safety Campaign—â€Ša network of nurses and allies, committed to collectively advocating for nurse health and safety. Bonnie CastilloDirector of Health & Safety at @NationalNurses, Director of RN Response Network; I’m an RN & healthcare champion who believes healthcare is a human right!